Forgetting Android or iPhone Pin or Pattern could happen to anyone. I have seen people in my family who would set the password today, and forget it the next day. The biggest problem is that there is no way to remove Android Lock Screen, even if you remember your Google Account password. Keeping in mind the massive userbase of Android, and popularity of iPhone, anybody who forgets his PIN or pattern will also lose access to his data, especially the pictures, call recording and those who never synced their phone contacts with google account will lose that too. Today, we are talking about a software, dr.fone – Unlock, which can unlock your phone, and remove the PIN, Pattern, Fingerprint, or password under five minutes. Once you have installed dr.fone – Unlock software on Windows PC, launch, and select Unlock from the options. The next step is to connect your phone using the USB cable that came along with the phone. In case your PC asks to the take some action, just skip it. When the software detects your phone, it will check with the compatible list, and then go ahead. In case your phone is not supported, it won’t work. Post device detection, make sure your computer is connected to the internet. The application will need to download packages dependong on your device type. 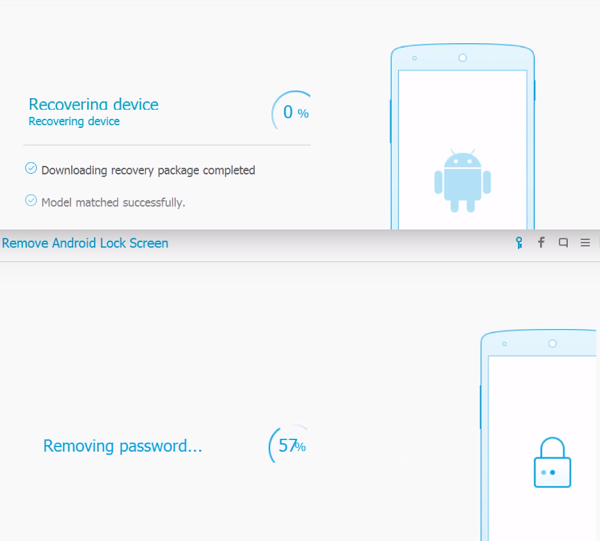 Once it downloads the package, it will start removing the password or pattern or anything else from the device. In the end, I can say that this works for supported Android Phones, but other models we tested including Nokia 5, LeTV, Honor View 10 did not work. You can download this lock screen removal software and unlock it easily. Android 2.1 and up (Android 8.0 included)Included most of Google, Sony, Motorola, LG, HTC, Huawei, Xiaomi etc Android phones. Also works for Samsung Galaxy S/Note/Tab series, and LG G2/G3/G4, etc. 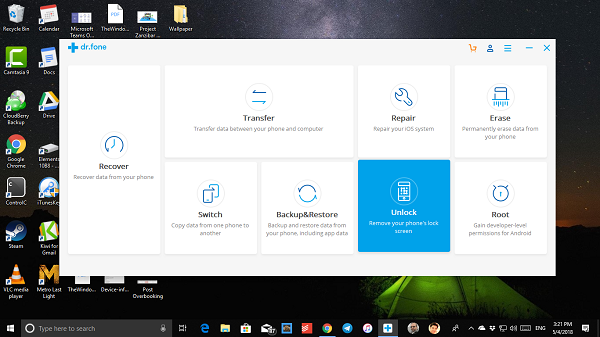 Apart from unlocking the phone, the software also offers to recover data from your phone, transfer data, switch between phones, backup & restore, repair iOS phones, permanently erase data from your phone, and lastly gain root level on your device. Dr.Fone comes in many version. You can just buy the unlock phone feature or choose to buy them all from their official website.